We Still Need Your Salary and Benefits Data! plus a Discount on the Full National Report. NYCON Members are invited to participate in a statewide nonprofit salary and benefits survey. The statewide New York survey is part of the comprehensive national survey being conducted by The NonProfit Times. We'd like to thank the members that have already shared their valuable salary and benefits data. We are still anticipating that The Nonprofit Times can release their report this Spring. In order to insure that we can provide the most accurate, comprehensive report to you, we would like to have at least 35 additional nonprofitsshare their information -- and more are always welcome. In exchange, all participants will receive a free Summary for New York State plus 50% off the full report! Click here to take the statewide nonprofit salary and benefits survey. The New York survey is part of the comprehensive national survey being conducted by The NonProfit Times. What You Get: Just for completing the survey NYCON Members will get a Free Executive Summary of the New York State data, with full salary data for all positions. Faster and easier to complete! Any organizations who participated in the survey in 2013/2014 can use their existing data to jump start the 2015 survey completion process. Look for an email from The NonProfit Times with special instructions on how to log-in to access this new feature. To view a sample of The NonProfit Times 2012 Salary and Benefits report for NY State, Click Here. The NonProfit Times 2015 Salary and Benefits Report will present survey results by multiple views to allow for quick and easy comparisons against relevant peer organizations by geographic location, operating budget, number of employees, and field of work. This report will provide detailed information on 94 employee benefit offerings, 28 job families, and hundreds of nonprofit positions with key performance metrics that can be used to benchmark compensation and benefit practice. - Complete the online survey questionnaire at your own pace and schedule. Comprehensive job coverage - The survey collects base salary and bonus pay information on more than 300 positions. Easy and accurate position matching - Match the positions within your organization to the survey using the intuitive job family groupings. Ongoing assistancewhenever you need it - Contact us by phone or email if you need help completing the survey. Complete information about benefits practices - The survey gathers information about benefit offerings, costs, eligibility and employee participation for 94 employee benefits. 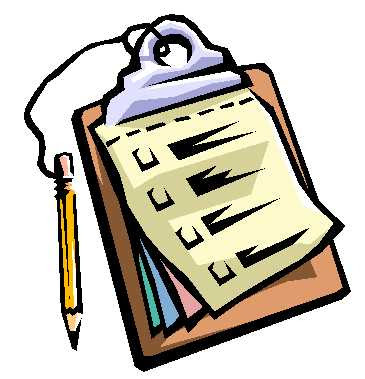 Organizational profile information - The questionnaire collects data on budget size, employee turnover, salary increases, employee tenure, staffing levels, geographic location, field of work, and number of employees. Click here to report this email as spam.